Life Earrings – Orocrea Jewerly s.n.c. 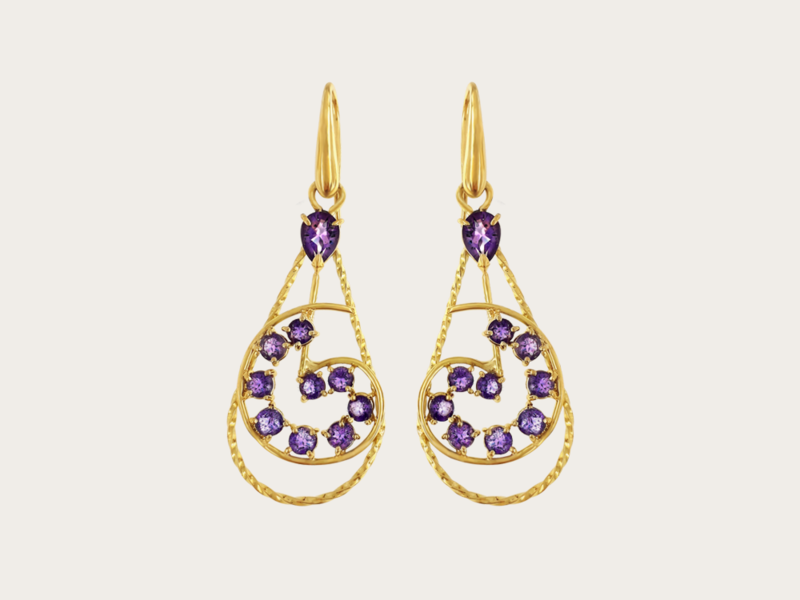 These esrrings in yellow gold 18 kt, carry the sacred language symbol for life. They are made with the technique of woven wire. Eleven violet amethysts run on the shape of the “ra” ideogram, to enlighten the spiritual and sacred meaning of being alive.